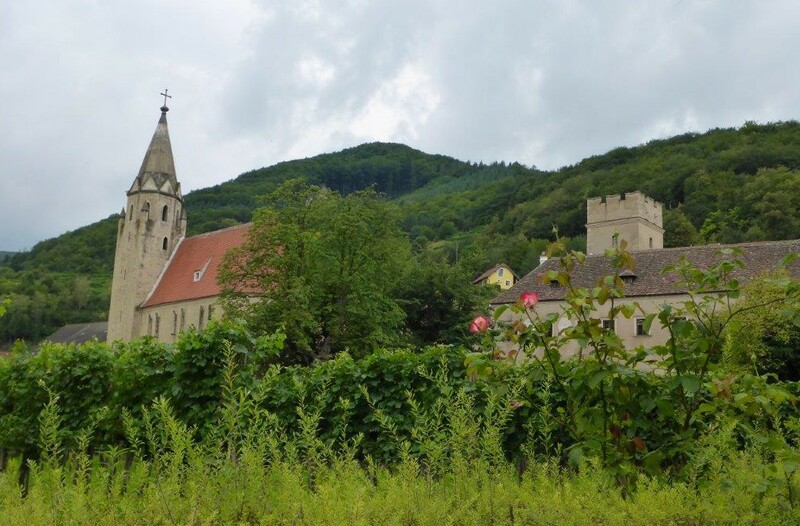 We had already decided we wanted to drive through Austria, and went for the scenic route along Donau in the area known as Wachau. From Cesky Krumlov we headed east in direction Slovakia. Our first challenge was almost crashing with two deers, suddenly jumping across the road. A reminder always to be on guard. Right after, we heard the sirens of an emergency vehicle. We looked out for it, drove slowly as far out on the side of the road as possible, but it was no other sign it. It took several minutes before the fire truck finally passed us. It appeared to be so old and slow running, that it actually made a queue! Just hope the fire was not serious! Our first stop was in Enns. 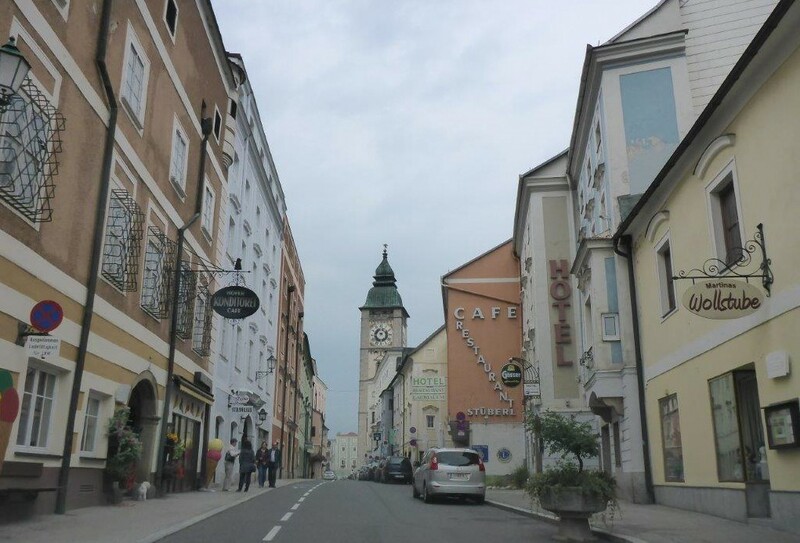 Founded in 1212, it is considered the oldest town in Austria. 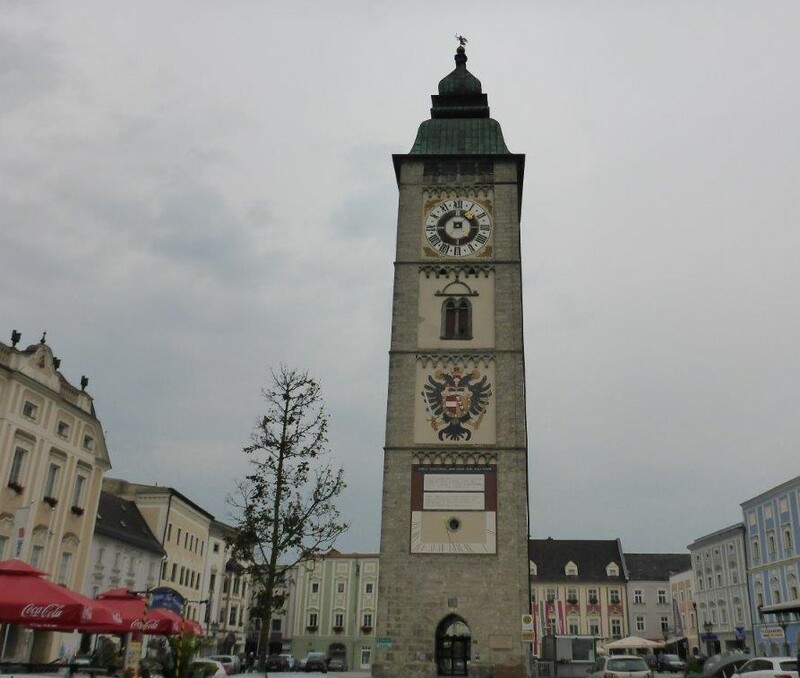 The first thing you notice in the main square is the tall tower. This is the town’s main tourist attraction, and apparently has a beautiful view from the top. 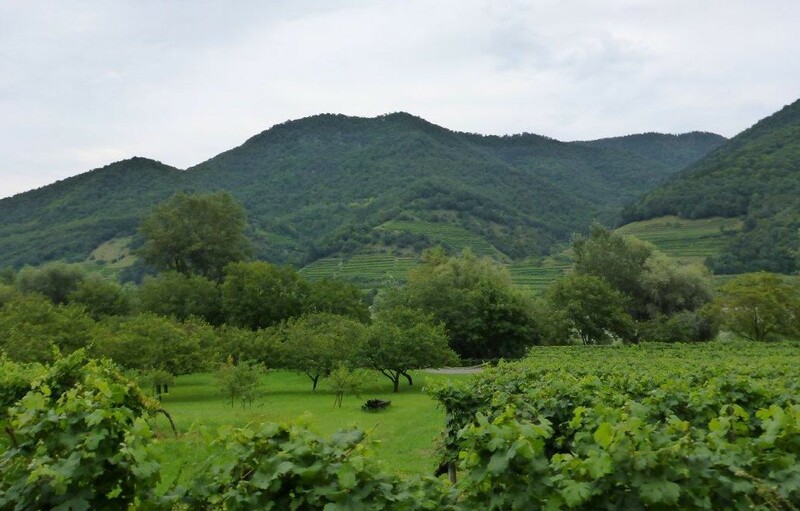 The scenic route start from Melk, via Spitz, going along the Danube, or Donau River with vineyards and lush green hills on both sides. The tourist boat running on the river seemed quite popular and crowded as we drove past. 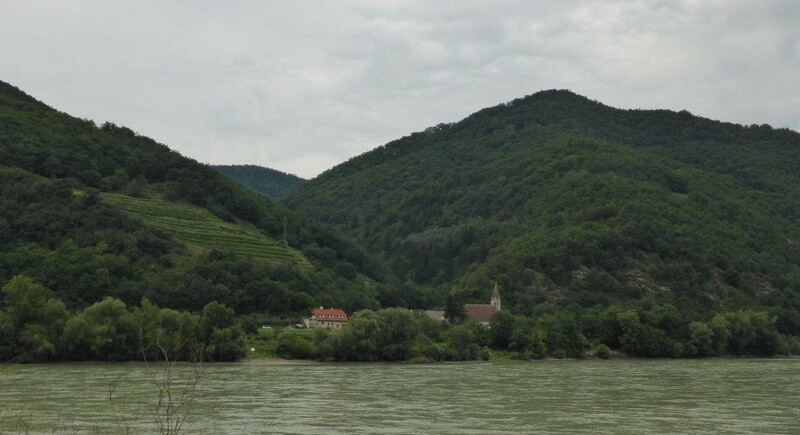 There were roadwork’s ahead, so we had to make a detour by Weissenkirchen over the mountain to Krems an der Donau. When taking off, we drove uphill through the charming village. 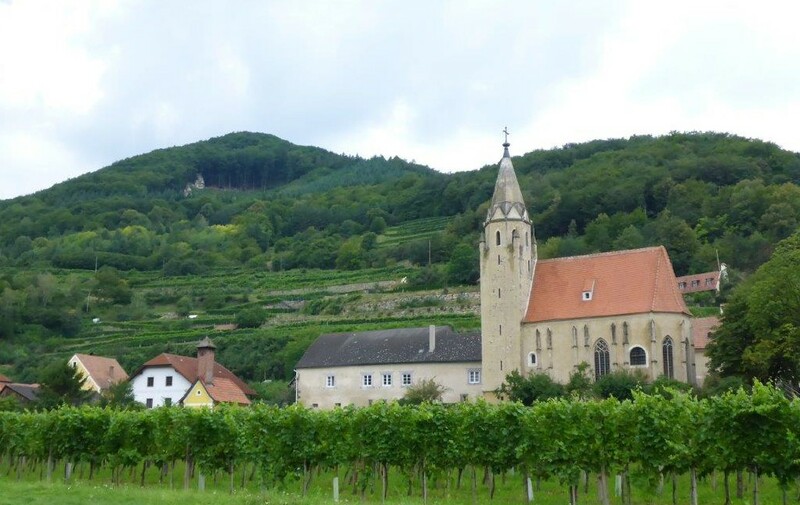 When the houses stopped, the vineyards took over. The landscape was simply beautiful, with a few farms spread along the way. The farmers were living their everyday life, taking the tractor for a spin on the fields. I felt really calm, and for a moment I wished I could live up here among the farms. But deep down inside, I know I would get restless easily. 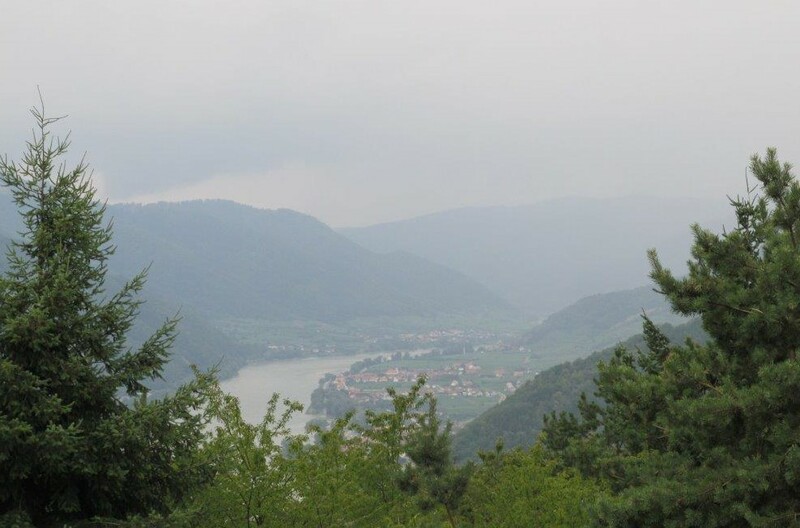 To drive on the highways in Austria, you need to pay a fee. At the gas stations you can buy a sticker to place in the front window, stating the duration. The lowest value is 8,5 Euros, valid for 9 days.